The half-dozen biggest turkeys of a flock band themselves together into a bullying gang and institute a reign of terror in the farmyard. Their pleasure is to prowl round in a crafty way, slowly, with head stuck forward, as though looking for stray grains of corn on the ground, but in reality seeking whom they may destroy. Woe betide any hen that is not feeling as agile as usual that day, should she come within their view. One turkey will approach, eyeing intently the fictitious grain of corn, and suddenly, with a vicious peck, seize the unhappy creature's head with its beak and hold it to the ground, while the others stand round and peck at it in turn with the rhythm of wedge drivers. They do it slowly, deliberately, and in silence, as though performing a solemn rite. This delightful book is Adrian Bell's account of the year in which he left behind his leisured life in Chelsea to live and work on a Suffolk farm as a kind of apprentice-farmer. 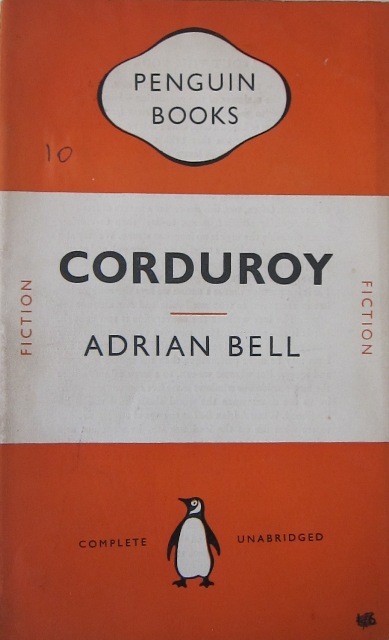 Penguin issued it as a paperback in 1940, and despite the paper rationing of the war years, my copy, printed early enough to still carry those traditional orange stripes, is from the 6th reprinting, which must be some measure of just how popular his rural reminiscences proved to be. 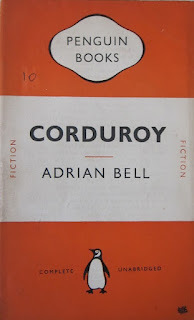 He wrote three books during the 1930s telling of his early farming life, and they were all issued by Penguin in wartime editions (the others being #264 The Cherry Tree and #278 Silver Ley). I have read that the WW2 servicemen treasured these books, both as a reminder of what they were fighting to protect, and as an inspiration in planning their own post-war pastoral lives. It was 1920, and Adrian Bell was only 19, when he left London on a recently purchased second hand motor bike to make his way to Suffolk, in order to commence his tuition in agriculture. He presents himself as a sensitive youth, one given to composing blank verse poems, and reluctant to be exposed to the mockery of street urchins for his fashionable attire. His father discourages his literary ambitions, and forced to make a decision about his future, he opts for farming as an alternative to spending his working hours in an office. When he looks back it is with the recognition that he had no comprehension of what it was that he was choosing. For him, rural life was a symbol of escape; his thoughts were of tranquil fields, docile animals, and pleasant vistas. And the initial problem - on both sides - is one of assumptions. He assumes that his uneducated rural acquaintances must be ignorant; they perceive his gentlemanly ways and nice clothes and assume he lacks a physical robustness. Over the course of the year they develop a mutual respect, but most of the learning is on his part, in that he is soon aware that scholarly achievement is an inadequate measure of intelligence, and while many of the country folk are unable to read or write, they have a deep and almost uncanny understanding of the things that concern them - such as foxes, and horses, and weather; he is the one surprised again and again by how comparatively little he knows. And as he tackles the various farming tasks, he realises that he was not alone in misjudging the skills and knowledge that underpin the rural life. He notes that the words the poets use in their descriptions of rural occupations betray them as mere observers; they too are unaware of the complex and taxing nature of tasks which the well-practised and capable appear to do with such ease. During his apprenticeship year he moves between his two disparate worlds, London society and the Suffolk farm. There are fleeting moments when he questions his choice and longs for the simpler life of the London drawing room: when he is called from his warm bed early each morning, or when long days are spent in physically demanding occupations, always with an awareness of his relative inadequacy compared with those raised in a farming environment. He notices that his London friends treat him as something of a novelty, a local rustic they can display to their friends. And he also notices something of a deeper significance: that Londoners have an obsession with how things look, and people are judged according to the things they own, or the placement of their furniture. He comes to learn that appearance can be an unreliable indicator of quality, and that country men have completely different sets of criteria for judging the worth of almost everything - animals, houses, businesses. And even though he recognises the limitations of appearance, he never quite overcomes his own tendency to focus on the aesthetic, rather than on the practical. But none of this really explains the special quality of this book, which I think is mostly due to the personality of the man who wrote it. It is a positive book, describing a way of life which I assume no longer exists, for an audience who, like himself, will have been influenced by the poets. He seeks to convey the depth of detail in any rural scene which he knows they will all missing, and he does it with self-deprecation, enthusiasm, and a deep respect for the man who instructed him. And it meant that he was far more convincing that George Orwell (Coming Up for Air) on the merits of the rural life. I just discovered your blog a couple of weeks ago, and I am enjoying reading the posts very much. I have been interested in the rediscovery of semi-forgotten books ever since I was a young reader, so your project is full of possibilities for me! Adrian Bell, for example, I had heard of but not pursued, and now you have stoked my curiosity about his work. Seems to me that this book still has much to teach us, despite the cultural distance and passing of time. The book seems familiar to me - I think we have a copy in the library. Great to meet you last week and thanks again for the Orwell book! Akenfield, by Ronald Blythe- a Penguin book, but after you cut-off point, I think- is a portrait of a village just at the end of that way of life. I feel sure that my father, who became a horticultural student shortly after the end of the Second World War, must have read this book, and ruminated much on the content when hop-picking in Kent, or toiling the fields in the Vale of Evesham. 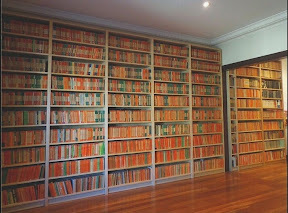 He may even have had a copy on the shelves which covered an the living room wall, and on which the orange spines were the most notable feature. Sadly, although I read many of them, I don't think I came across this one, so now of course I shall have to find a copy. Thank you.